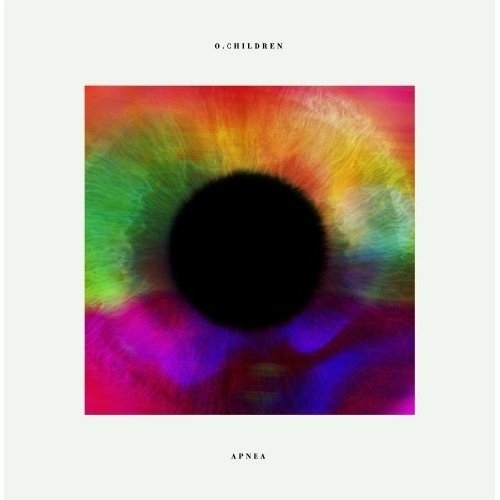 Apnea is the eagly awaited follow up to O Childrens 2010 eponymous debut album  an album that got overwhelming praise and respect all over the world. To celebrate the release, O Children are giving away a free download from their forthcoming record, the brilliantly ominous 'PT Cruiser': 'Apnea represents the culmination of over 2 years of torturous travails as lead singer Tobi OKandi found himself essentially stateless, stuck here, a prisoner in England. Re-wind back to 2010 and there was no indication that this was to be the fate that would befall Tobi and, by extension, the rest of O Children. Having just released their critically acclaimed debut album, the boys had finished playing a gig in Manchester and chose to go onto a party instead of returning to their beds. It turns out that decision to go to said house party was one of the worst decisions of my entire life says Tobi. Having all missed their trains home to London, the band decided to bunk on the next train. Whilst the rest of the band hid themselves in the toilets, Tobi decided against cramming his longer-than-average limbs into a cubicle and tried to blend in with the other commuters. This lady asks for my ticket and doesnt buy my excuses so then decides to get the police involved. They ask for my name and it rings up that Im here illegally  I end up getting hauled off to a holding cell waiting to be deported. Unbeknown to Tobi the last time hed entered the UK aged 6 hed overstayed his visa by around 15 years, so bringing himself to the attention of the police was to act as the catalyst for a prolonged legal case as the Home Office tried to work out where he belonged and what to do with him. They were going to take me to Nigeria, all my family is based in the United States so they were basically just going to drop me off somewhere that I have no idea about and no current family ties to deadpans Tobi. Backed by Deadly and their management team, he was released from his holding cell but unable to leave the country and tour anywhere other than the UK. Whilst being regularly in and out of court trying to resolve his future, Tobi and the rest of O Children concentrated their efforts on writing and recording Apnea. Its a really personal record, says Tobi, I didnt really write it for anyone else and I think thats how all music should be made. Its a very different album but its kind of a heart on your sleeve record. Feeling depressed from his legal battle, Tobi started to suffer from involuntary Apnea during sleep  a suspension of breathing  which in turn made him not want to go to sleep. Going to the studio to work on 'Apnea' was the only escape Tobi had from his life. The resulting record represents a distinct new chapter in their career, Tobi has taken production influences from a variety of genres - he grew up listening to gospel music and African church choirs as well as the likes of Boney M, Tina Turner, Whitney Houston, Jimmy Cliff, Michael Jackson. Though Tobi's distinct baritone makes the record instantly recognisable, the music has richly developed from their debut. Opening track Holy Wood takes the quartets innate allure to an even darker place whilst Oceanside add a hazy, West Coast melody to O Childrens repertoire.